In a land far away, during another time, there lived a young woman named Lisa. Now Lisa had been seriously ill for quite a while. No one had been able to help her. Many magicians, soothsayers and healers had been called to her side, but to no avail. Her illness seemed unrelenting and Lisa now appeared to be dying. Some distance away from Lisa's home lived an individual named Armand. He was from a distant land, of which very few people in Lisa's area had heard of. This place was called Lapis land, which meant "Forever." In this place apparently, all persons seemed to live forever, at least most of its inhabitants were known to achieve a very ripe old age. No one actually died in Lapis land; they just transformed into another essence, that is, from a material state into a spiritual state. Armand, who was known to have exceptional healing abilities, had a reputation that had spread far and wide, well beyond the boundaries of this remote community. Armand had been sought out by Lisa's father who sent a note pleading with the healer to please come to the aid of his dying daughter. The request, delivered by courier, was marked "urgent," to which Armand responded immediately, making his way toward the troubled family on horseback. Upon his arrival at Lisa's home, he was escorted to her bedside where additional pleas from the family were made, asking him to help in any way he could. Lisa was asleep; her breathing had become shallow; she appeared to be barely alive. Armand examined her closely and then shook his head. "This woman is no longer with us," he stated flatly. "She has gone to the land of the dormant ones where spirits remain suspended until they are somehow retrieved, or else begin to wither away completely." Lisa's father was aghast. "Do you mean she has died?" he asked plaintively. "No, sir," Armand replied. "What I mean is that she has drifted into that nether world between Life and Death where she can no longer hear us." "Then how do we reach her?" the father wanted to know. "I do not know just yet" was Armand's response. "I must ponder this for a time and I will return to her later." Armand was led away and taken to a room in the house where he could meditate and collect his thoughts. In all of his experience no such situation had ever arisen. He had never seen anyone so sick and disabled as Lisa. Back in his homeland everyone seemed to remain relatively healthy and expressed a continuing state of contentment with great ease. Here he was faced with a young person who had lapsed into unconsciousness for no apparent reason. Her will to live had left, it seemed, and Armand was uncertain of how he should proceed. As Armand continued to ponder this dilemma, he slipped into a meditative state where he could allow his spirit to soar. In his reverie he traveled back to Lapis land to try and understand more clearly why life there appeared so blissful. In this state Armand could see all his countrymen in their spiritual essence. He could actually see how bright and glowing that essence was. He could also see how it was activated through various modes of expression and how it glowed even more brightly when individuals made caring physical contact with each other. As Armand carefully studied this phenomenon, he began to understand Lisa's illness. In her land, he had noticed, there were few such expressions of caring contact. Individuals here were quite closed, emotionally speaking. They barely touched each other when communicating and young sensitive persons like Lisa were prone to wither spiritually from this neglect. And, as was clearly evident now, some individuals became physically ill as a result. Returning his attention to his current surroundings, Armand continued to reflect on this dilemma in his conscious state. Within a very short time Lisa's father burst into the room. "She has taken a turn for the worse," he announced breathlessly. "We need you right away." Armand rushed to Lisa's room where he found her gasping for breath. Family members around the bed wore expressions of deep concern. They stood transfixed in the face of what they saw; now expecting the worst. Armand knew he had to act quickly. He asked for a coach and the house's fastest horses. These he required immediately for a quick trip back to Lapis land. To Lisa's father he explained that he now needed certain special resources in order to help Lisa and these could only be found in his homeland. Armand's requests were quickly attended to and in short order a coachman pulled up in front the house in the required coach led by the house's finest horses. Armand sped off in the direction of his homeland. Within a few hours he had completed his mission there and set out on the return trip, the coach now filled with children from Lapis land. Lisa' father was relieved to see the healer return so quickly. He expressed continued appreciation of the efforts being made for his family as Armand and the children disembarked from the vehicle. Armand nodded to the father as he instructed the children to follow him up to Lisa's room. Once there he asked the children to surround the bed. As they gathered around, the children joined hands to form an uninterrupted circle. Armand joined with them and asked that all persons in the house please be quiet while he and his group prayed. With heads bowed, he and the children began reciting the following prayer. With that said, all of the children from Lapis land began to hum a song from home. The song was about Love and Spirit and the delights of being alive on this Earth. It was about happiness and the value of sharing together, of giving and receiving in kind. They continued their chant well into the night, long after all in the house had retired to their rooms, exhausted from the day's ordeal. Armand himself had grown extremely weary but maintained the vigil well into the night. The children, never tiring, sang their songs until the early morning light began breaking through. When daybreak finally came, only the stillness was noticeable. All sounds in the house had ceased, except for a raspy cough coming from Lisa's room. Armand, who had fallen asleep in one of Lisa's chairs, was the first to be awakened by the sound. All of the children, of course, knew its meaning and once again surrounded Lisa's bed while she struggled to awaken. She coughed a few more times and then slowly began to open her eyes. 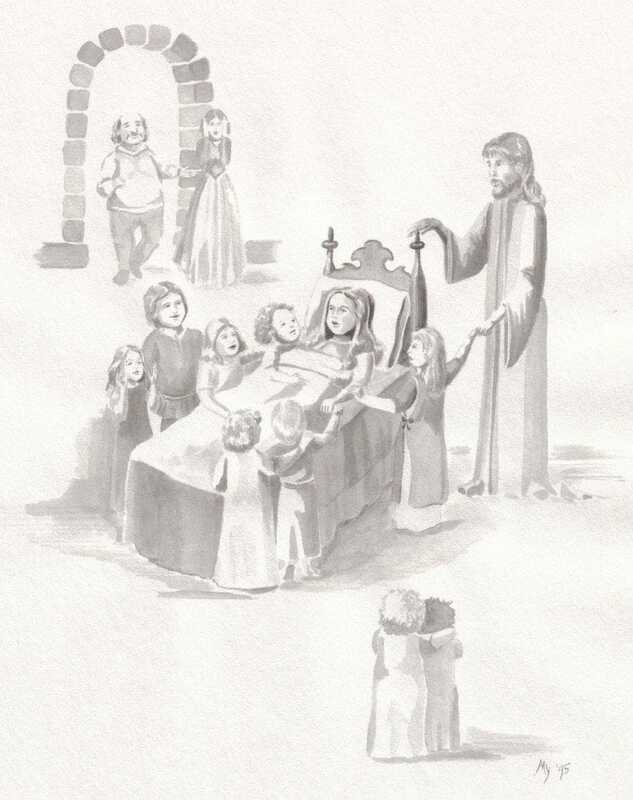 What she first saw were the children who sang to her throughout the night. As she studied their faces, some of them reached out and touched her, much to her surprise. But it felt so good she could not object or pull away. It was then that she saw the Love in their eyes. Lisa continued to absorb this loving attention as Armand proceeded to examine her. He could see for himself that she was "back" with them now. She had returned from the "land of the lost." Her father appeared on the scene and let out a cry of joy. He was so pleased to see his daughter awake that he momentarily forgot himself and hugged Lisa as tightly as he could. Other members of the family were now back in the room eager to see what all the happy cheers were about. Initially, they were taken aback by the father's hugging behavior, but no one objected. With Lisa now returned to them they were willing to accept that the methods of touch displayed by Armand and the children had achieved the desired result. They appreciated that this was indeed "strong medicine" and exactly what Lisa required at this critical time. All were impressed with the obvious success. As the hours passed, Lisa became more and more alert. She began to talk and asked for food and something to drink. A tray of nourishment was rushed to her and she quickly devoured it all. Her father, now composed again, asked Lisa where she had been. She proceeded to explain. "My dear father," she began, "I had left the land of the living to travel far away from here. My heart had been aching for such a long time that I felt I could no longer stay. I drifted to a place where only spirits roamed and paused there wondering what to do. In this place I felt no pain or loneliness, but no other feelings either. I continued feeling numb until this beautiful sound reached me. It was the sound of these children singing and it struck a chord deep inside my heart. I suddenly felt the urge to return to my body, so I came back to see what was happening in this room. As I reentered my body, I again felt the pain that I had originally left behind. But I also felt the Love in the room and I knew then that I was safe. I am truly glad to be home again. I am grateful for my life. But, I must advise you that the pain I've been feeling could still scare me away. I desperately needed to be touched, you see. I needed that warm contact so very much. Without it, I fear I could still wither and die." Lisa's father nodded his understanding. He had seen for himself the power of touch, of this Love in action. He tried to explain to Lisa that it was never a case of him or his family being without Love. It was more a matter of not knowing how to express it. Now that they all had this frightening but valuable lesson, he was certain they could begin putting these new ways into practice. And perhaps Armand could stay behind for a time and continue instructing them to assure that a successful change in behavior would take place. Armand quickly nodded his agreement and smiles broke out among all the family members present. There was magic in the room it seemed. The Power of Love had entered their midst and all could feel its presence. The Power of Love had spoken its truth through the prayers and chanting of the little children. Through their innocence and openness the Love flowed freely. These children carried the magic that was now present all about this house. They were its container and deliverer. Lisa' father and the rest of the family showed their gratitude with smiles on their faces and warmth in their eyes. They were very pleased to know this truth about touching. With this fruitful lesson in their hearts life returned to normal again in Lisa's home, but with one important difference. 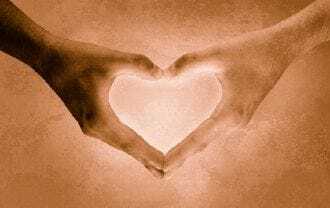 The lessons of Love through touching were now being taught and absorbed. Lisa's father and extended family began practicing and expressing this physical mode of sharing Love. Soon Armand felt he was done with his instructions, so he happily returned to his home, for he knew in his heart now that his task here was complete. It seems uncanny that the discoverers and map makers of the world are themselves wounded heroes rising from their ashes and moving out into the new world. They have so much to teach us, this army of ground-breakers who have undertaken to bring forth the lessons of their particular journey. But then, how are the rest of us going to perceive what's ahead if we don't have these way-show-ers to take us along and point out the challenges on the road ahead. Only scouts, in previous times, were capable of uncovering the hazards coming up and then report to the column following behind. Winding their way through mountain passes, surrounded by dangers unseen and unheard, they would lie motionless for hours waiting to see when it was safe to strike out again. These scouts were the radicals then, like-minded in some ways, but always way out ahead of the crowd. Their pleasure came in discovering the new and sharing that with the group following behind. The leaders of the column waited to hear. They were the wise ones who took heed of the information brought to them and, in consultation with the scouts, translated it into terms the rest of the group could understand. Scouts and group leaders had a unique purpose which ultimately would make a contribution to the whole. The whole in turn relied on the leaders to guide them to the promised land. These were the weary travelers within the column who could not bode for themselves the efforts made on their behalf by the wise ones and scouts at the front. They waited to be told what was to happen next. And they followed, often grumbling, but followed nevertheless. Today's generation of seekers and travelers are in for a big surprise. No longer will they be reliant on the knowledge provided by scouts and leaders who interpreted the information coming in from the front. This time the image of a growth oriented community and its individuals is a circle; and in a circle everyone shares what they know to enrich the whole group. The concept of the circle stems from way back in time, well before Christianity came into being. The circle was the way primitive groups shared information with each other on an egalitarian basis. There were no leaders per se, but only shareholders in the tapestry of events and information confronting the group. The circle as a whole represents that unity that we are now seeking. We became lost when we allowed the column metaphor to take us over. That meant only some of us "knew," and the rest had to follow on faith. That is no longer acceptable. Everyone has to resume the positions we once held as equal and responsible members. Individuals must now gather in a circle and share what they know. This makes the group larger and stronger than it would be as a column made up of the same number of members. It is a collaborative script based on the premise that each of us has a unique gift to offer the whole. That is the case in all walks of life, including the circles of old. Today's small groups movement is an example of this return to the sharing circle, something North America's Aboriginal peoples clearly understand. Based on the premise of true equality and sharing for the common good, this emerging recognition of what once was common is a return to that old format. For how can we help each other if we are forbidden or pre-empted in our efforts to share what we know? We don't need parental figures any more. We need our own direct connection to the Divine. We soon will all be able to hear that "Voice," that "still small voice," speaking to us from within. And it is this very ability and understanding that will allow us to share as equals. Why? Because we will be speaking from the same vantage point - God as our subject, instructing us on how to conduct ourselves in the present and future. The power mongers of the world will not be pleased at this eventuality, as their privileged position will be usurped. They will have to descend into the "ranks" and become one of us; no better, no worse, just one of the group sharing what they know. It will be a hard time for them as it will be for all of us crossing that threshold into the Eternal. God waiting there, embracing each of us as we scramble over the parapet to find ourselves in the holy land of our own souls! This will be difficult at first, but after a time it will become routine; part of the curriculum so to speak, taught in schools and community gathering places all across the world. The Voice of the Lord will rise up in each and every one of us and direct us on how to conduct ourselves as a unit. Then we'll have grown up, won't we? We'll have transformed ourselves into a legion of mercenaries, here to do God's work in the most efficient manner, here to design and build all those vehicles He will require to take the human race out into the wilds of the Universe; to discover the great mysteries that exist there, to learn what they are and to move on to the next and the next and the one after that. Won't that be exciting? Such an effort cannot be accomplished by a group of bedraggled stragglers marching solemnly in a column. We must work in unison for this great leap to take place. And only in so doing can this leap of faith into the new millennium , with its host of promises, can actually be accomplished. We are here on this threshold, friends. This is where we stand and to where we are pointing. Just up ahead is that next step. Let us see what it brings for us, shall we.